Let's face it - rarely does anything good ever come without a little hard work. With decking, this concept holds true. You will have to perform some level of maintenance on your deck if you want it to remain in the best shape for as long as possible. As for how much maintenance? That's another question entirely. 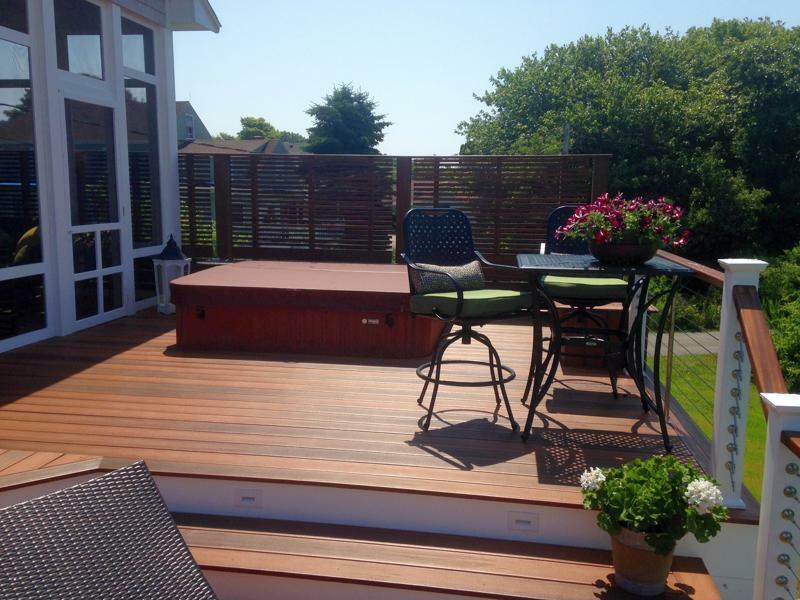 "Capped composite decking is as close to zero-maintenance as it gets." The amount of upkeep you perform on your deck will depend on where you live, how big your deck is and how many children you can delegate chores to. But rather than be put-off by potential care woes, you can minimize your workload - or your kids' workload - by choosing the right decking material. Instead of opting for wood or low-quality composites, go for capped composite material - it's as close to zero-maintenance as decking gets. Anyone who lives in an area with trees knows pollen season has arrived. For some people, pollen can ruin a barbecue - allergies act up, causing people to sneeze, tear up, and feel generally irritated. But it isn't just pollen - any natural debris, be it dirt, leaves, dust or sand - can detract from a deck's appeal. Not only that, but as it builds up, it can slowly wear down a deck's facade over time. The fix is simple: just sweep it regularly, hose it down with a little soap and you'll be good to go. Capped composite materials don't get waterlogged like wood and won't become quite as slippery, either. If you don't have time for a hose, a soft broom can prepare your deck for a friendly gathering in no time. Capped composite decks were made for summer. Warm weather also means insects and other critters wake up again. Usually, they're harmless - but if a wasp nest starts to develop in the corner of a deck, you should get rid of it before it gets out of hand. Similarly, ants may seek entrance into your home by way of the deck. This is less of a problem with capped composites because insects won't chew the material like they do with wood. But hornets' nests can still form at any nook and cranny, so pay attention if these unwanted guests make an appearance near your deck. This is more of an aesthetic bit of maintenance, but it still holds true - different seasons call for different outdoor decorations. Spring and summer are a great time to invest in a few flower pots or bird feeders, and to get out that patio furniture that's been in storage all winter. And with capped composite decking, you don't have to worry about discoloration from rubber backed mats, hoses, or pool toys like you would with most PVC-based decking products. If you haven't yet built that deck, don't let the thought of maintenance scare you away - even the sturdiest material requires a bit of elbow grease. Fortunately, capped composite decking will look great for years with only minimal upkeep on your end. To learn more about this high-quality decking product, request a free sample from Duralife Decking today.